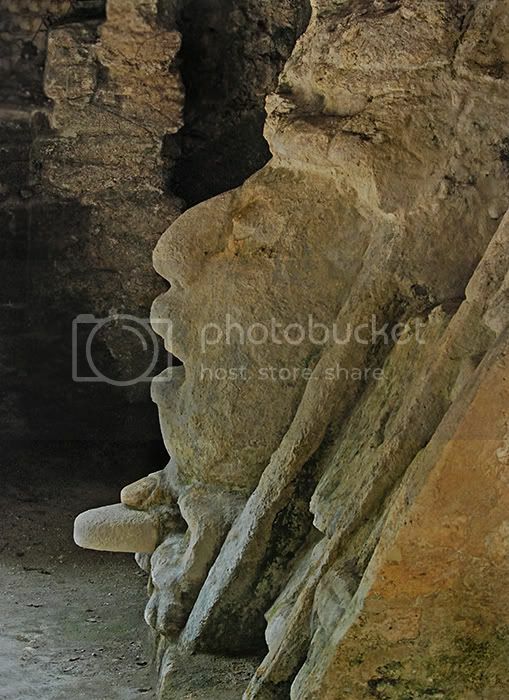 The Mask Temple, a 13-foot stone mask of an ancient Maya king. Build in Early Classic and Late Classic Periods with final phase of construction AD 550-650. This west-facing structure is decorated with two masks that date to the late 5th or early 6th century. Maybe it's just my eyes but it looks an awful lot like Tom Baker (fourth Doctor Who). Я нашел хороший фотографический создатель печати и рамки магазина.